The 9 days of celebration of Navratras are believed to be the most auspicious events taking place in all Hindu cultural and religious ceremonies. The first day of the Hindu month, Ashwin (September end/October) marks the beginning of the festival. Navratras, literally meaning as nine nights are dedicated to nine forms of goddess Shakti/Durga. Due to being very powerful for spiritual upliftment, the 9 days of Navratras are of greater significance for Hindus all around the world. The first three days of the Navratras celebration are dedicated to goddess Kumari, Parvati and Kali. Symbolising the various figures of woman, such as wife, mother and angry hag, the three goddesses are worshiped on 1st, 2nd and 3rd of the Navratras. 4th - 6th days are dedicated to goddess Laxmi, the goddess of peace, prosperity and wealth. On 7th and 8th day, goddess of learning, Saraswati is invoked for giving enlightening to her ward and devotees. The 9th and last day, which is the most important day among all nine days, nine forms of goddess Durga are invoked, and Kanya Pujan (offering feast and gifts to nine virgin young girls) is performed in households. The 9 days of rituals of Navratras are celebrated with intense devotion all over the world by Hindus. Many of the devotees invoke the goddess by fasting for total 9 days. Each of the nights of Navratras becomes a celebration for devotees as functions based on dance and music are organised. The joyous and sacred celebration of Navratras culminates on its next day (10th day) when Dussehra (Vijayadashami) is celebrated all over by Hindus to commemorate the victory of goodness over evil. Attain the spiritual upliftment: The entire 9 days are believed to be highly powerful for spiritual upliftment. Worshiping various forms of goddess, and attaining some mental peacefulness is the best one can do. 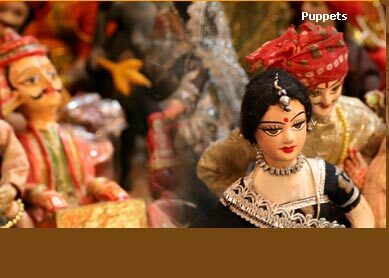 Shop shop and shop: Never miss shopping on the most auspicious day for shopping, the 1st day of the fest (Dhanteras). The best buy are household items, especially utensils and jeweleries. 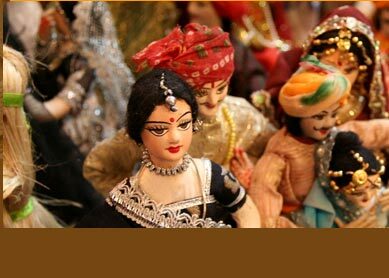 Enjoy the Melas: At many places Melas (fairs) are organised, walking to which is very enjoyable. The colourful and crowded shopping and food stalls are best you can glue.